Galerie Forsblom publishes the book on Veikko Hirvimäki’s sculptures parallel with the artist’s new exhibition at the Jyväskylä Art Museum. The book and the exhibition are launched on June 4. The book showcases Hirvimäki’s work from 2001–2015. 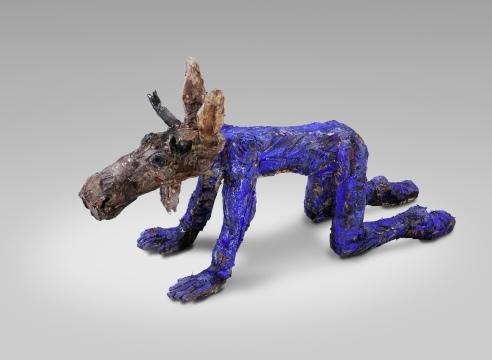 The essays are by philosopher Tuomas Nevanlinna, who analyses the meanings of the animal figures in Hirvimäki’s work, and by art critic and artist Hannu Castrén, who has studied Hirvimäki’s personal history.